Numerical simulations based on finite element modelling are increasingly being developed to accurately evaluate the tensile properties of GLARE (GLAss fibre REinforced aluminium laminates). 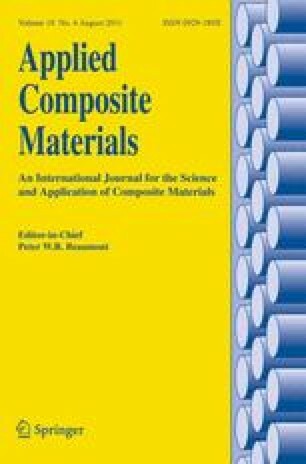 In this study, nonlinear tensile behaviour of GLARE Fibre Metal Laminates (FML) under in-plane loading conditions has been investigated. An appropriate finite element modelling approach has been developed to predict the stress–strain response and deformation behaviour of GLARE laminates using the ANSYS finite element package. The finite element model supports orthotropic material properties for glass/epoxy layer(s) and isotropic properties with the elastic–plastic behaviour for the aluminium layers. The adhesion between adjacent layers has been also properly simulated using cohesive zone modelling. An acceptable agreement was observed between the model predictions and experimental results available in the literature. The proposed model can be used to analyse GLARE laminates in structural applications such as mechanically fastened joints under different mechanical loading conditions.